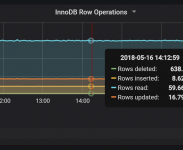 The post Tune Linux Kernel Parameters For PostgreSQL Optimization appeared first on Percona Database Performance Blog. Have you tried navigating the Oracle Certification labyrinth lately? If so, you may have come away with your head spinning! While there are many offerings in many layers of technology for a wide and diverse audience, it may be difficult knowing where to start. The Oracle Certification program began with Oracle Database 7.3. Candidates chose either the Database Administrator or the Developer track. Much has changed in a couple of decades! The program is now anchored by both our core Oracle Database and our Java certifications, but hundreds of implementation certifications have also been added. This is good news for non-database professionals who wish to certify on one of the numerous Oracle technologies outside of Database, but this makes it more difficult for some to choose the correct certification track. Matthew Morris, experienced DBA and developer, multiple Oracle certification holder, and respected author and blogger published an article on GoCertify.com in 2015 that stands the test of time by helping candidates navigate this winding river of Oracle Certification options – More than Just Database: A Beginner’s Guide to Oracle Certification. While some of the credentials and exams referenced by the article may be outdated, the content stands the test of time. If your certification interest is laser focused on Oracle Database, we can help. Check the decision-making diagram above. Scroll further down for more in depth information on each step in the decision making process, and to see where you can go after you’ve earned the OCA and OCP levels of certification. I. First, start with your job role – Database Administrator, Developer or Implementer. Database Administrators: Skill set and job role may vary depending on whether you are a “development” or “architect” DBA or more of a “production” DBA. Skill set may include installation, patching, configuration, security, backup and recovery, migration, capacity planning, logical and physical data modeling, database design, performance management, SQL Tuning and troubleshooting in the Oracle Cloud, on premises or both. Including High Availably, Disaster Recovery and aspects of OS administration. Database Developers: Skill set may include SQL, SQL*PLUS, SQLCL, PL/SQ, Java, Application Express, database design, logical and physical modeling, and SQL tuning. Implementers: Typically have a strong technical background in the product area on which they are certified and are responsible for implementing or installing this software or certain aspects of the software. II. Next, determine which certification path to start. The version or versions of Oracle Database that your company uses if you are employed. The version or versions of Oracle Database most often specified in job descriptions if you are job hunting. Have you already completed an Oracle Database training course for a specific version? This is very important. Oracle Certified Professional (OCP) certification requires training on the version that matches your certification or a on later version. e.g. If you have had Oracle training for Oracle Database 11g, you should pursue 11g certification and then upgrade to 12c when appropriate. Training is not required to upgrade to a later version of Oracle Database Administrator Certified Professional once you already hold a DBA OCP certification. When an older version of Oracle Database is de-supported, you will be required to upgrade your certification to match a supported version of Oracle Database to keep your certification active. Read the Recertification Policy. Database Developers will all start in the same place for certification – Oracle PL/SQL Developer Certified Associate. From there, you can decide whether to move to the advanced certification. When you get to this point, the same considerations listed above apply. Implementers: Candidates pursuing an Implementation role have options under the Oracle Database 12c product. An Implementer’s product focus area might vary somewhat compared to a Database Administrator or Developer. Implementation Specialist certifications are available to all candidates but are geared toward Oracle’s partner employees. If you work for or wish to work for an Oracle partner, the partner may have product area requirements. If you are seeking this certification on your own, use some of the same considerations listed above to decide in which direction to go. You can also review exam topics to discover the skills required of someone who holds a particular certification. *An important consideration for both the DBA and Developer paths is that both a SQL exam and an Associate-level exam must be passed to earn the Associate-level certification. Oracle Database 12c SQL | 1Z0-071: This is a proctored exam that must be taken in a test center. Passing this exam earns you the Oracle Database SQL Certified Associate credential. This exam better fits the defined job role. Oracle Database 12c: SQL Fundamentals | 1Z0-061: This is a non-proctored exam that can be taken online at your own location. Passing this exam fulfills the SQL requirement, but does not result in a certification on its own. It must be paired with the next exam in your path in order to earn a certification. Vouchers for this exam will no longer be sold after May 31,2019. Candidates will have 6 months to use those vouchers to register for an exam at Pearson VUE. This exam will no longer be offered at Pearson VUE or an Oracle Testing Center after November 30, 2019. IV. Now that you’ve earned your Database Administrator or Developer credential, where can you go from here? Database Administrators can pursue the Oracle Certified Professional (OCP) level of certification by completing a relevant training course and passing the appropriate OCP exam. After earning an OCP certification, DBAs can dive a little deeper into a more specific technology by earning an Oracle Certified Expert (OCE) certification or joining the elite ranks of Oracle Certified Masters. The diagram below shows these options. Some OCE certifications can be earned by completing training as an alternative to a prerequisite OCP certification. Armed with a better understanding of Oracle Database Certification offerings, you should now have what you need to start building a sustainable career path. Get started today!